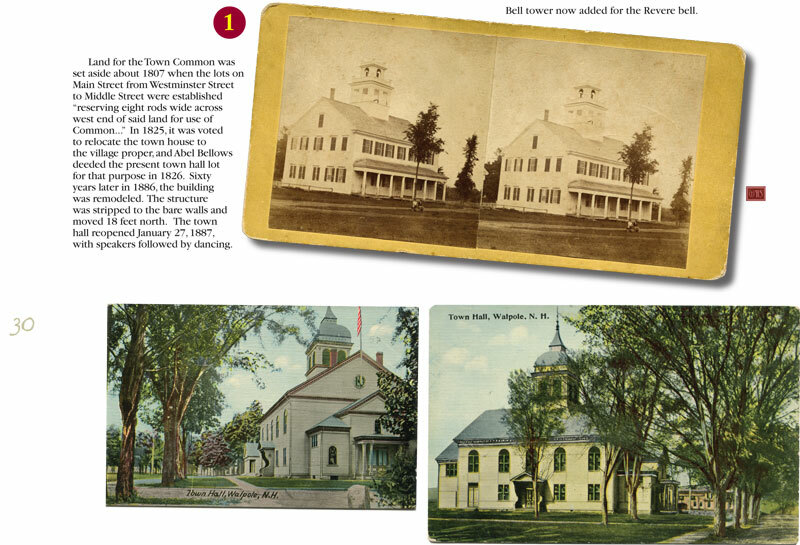 Ray Boas’ new 128 page book, AS IT WAS…AND STILL IS – WALPOLE, NEW HAMPSHIRE, tours the reader through more than 125 years of history shown through 300 rarely seen images creatively displayed, all in full-color. 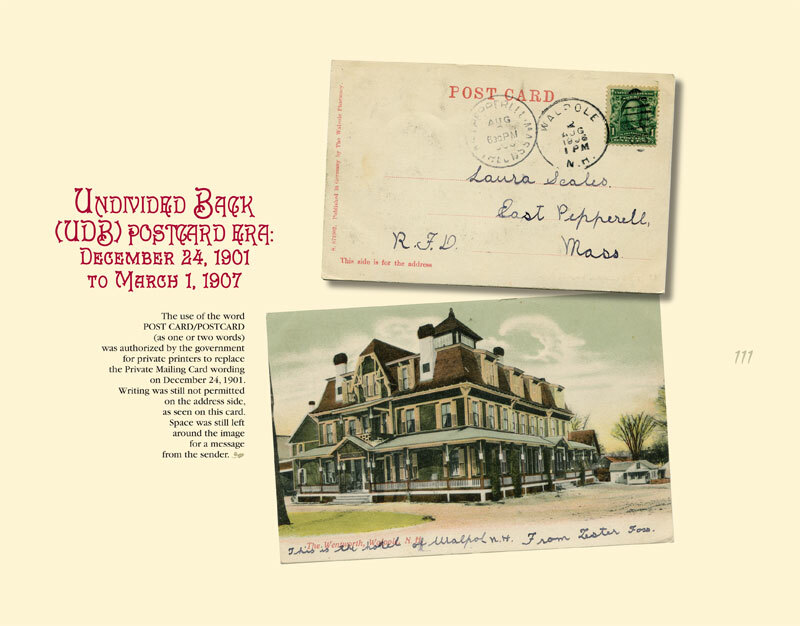 Based on Boas’ collection of postcards and stereoviews started over a decade ago, the book has been completed for publication in conjunction with Walpole’s 2014 Old Home Days celebration. The main section of the book divides the town into five sections each beginning with a map. The postcards and stereoviews, with historical captions, are keyed to the maps. 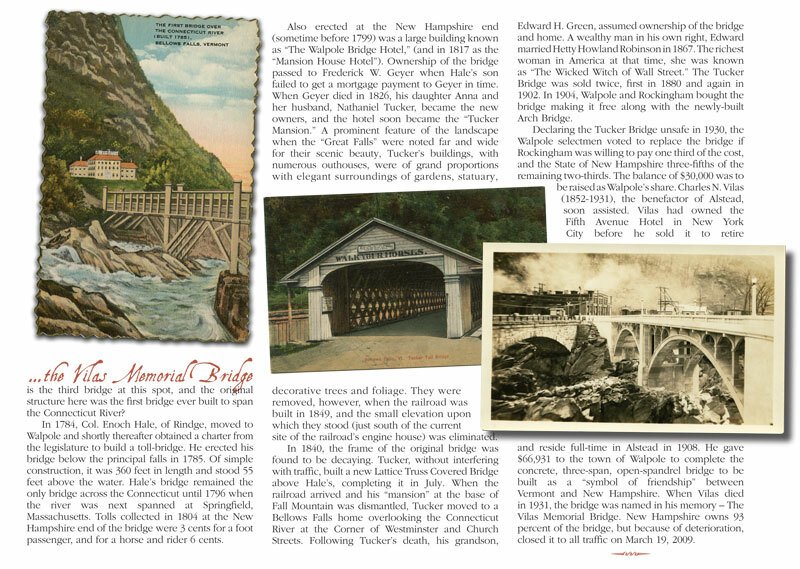 Also included is a collection of historical articles written by Boas for THE WALPOLE CLARION, and a brief history of postcards further illustrated by Walpole postals. 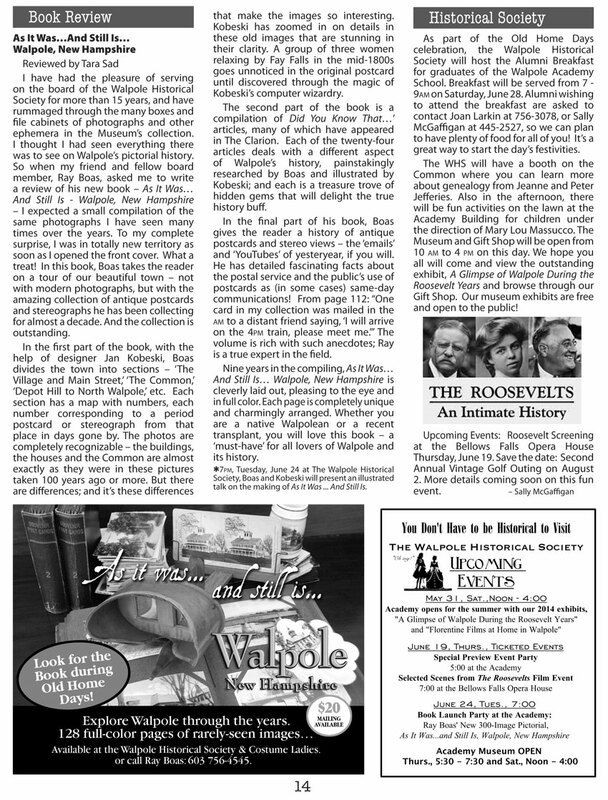 Below are some sample pages, followed by a review of the book by Tara Sad that was published in the June 2014 WALPOLE CLARION. Available at $20 a copy, shipping is available ($4 per mailing address) for out-of-town gifts. 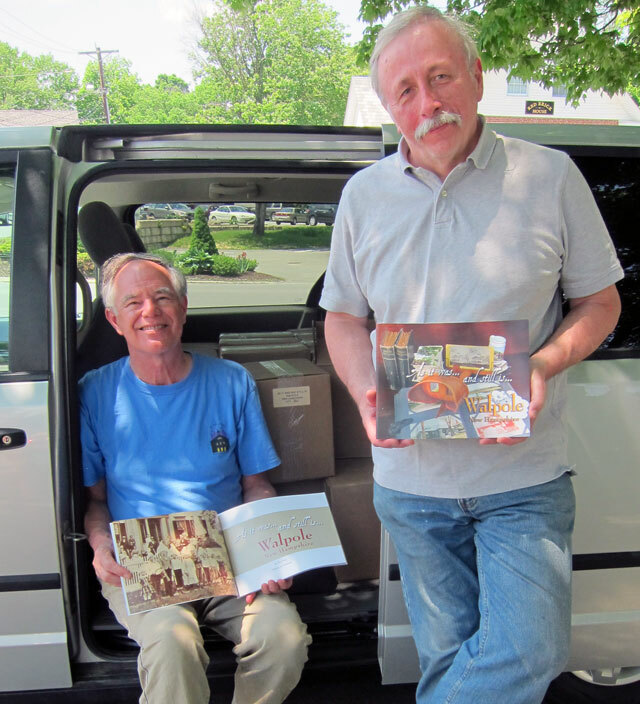 Mail orders can be sent to Ray Boas, PO Box 757, Walpole, NH 03608 Phone 603 756-4545 – email: rayboas@comcast.net Payment may be by check or Paypal. ARRIVED – 3 June – and hidden away (hard to do) until release. 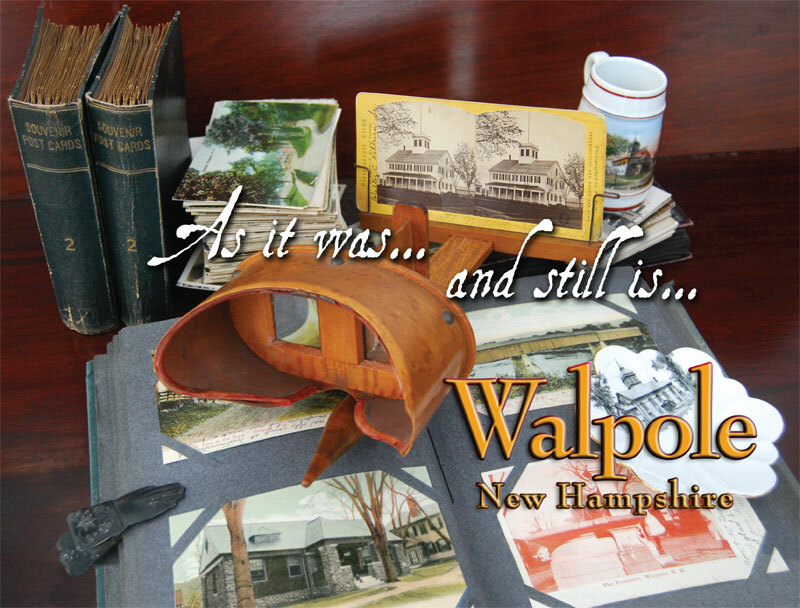 Boas and Kobeski will present an illustrated talk, “The Making of AS IT WAS…AND STILL IS… WALPOLE, NEW HAMPSHIRE” at the Walpole Historical Society on June 24th at 7 PM. Plan to attend this fun evening. Again, available at $20 a copy. Shipping is available ($4 per mailing address) for out-of-town gifts. Mail orders can be sent to Ray Boas, PO Box 757, Walpole, NH 03608 Phone 603 756-4545 – email: rayboas@comcast.net Payment may be by check or Paypal.